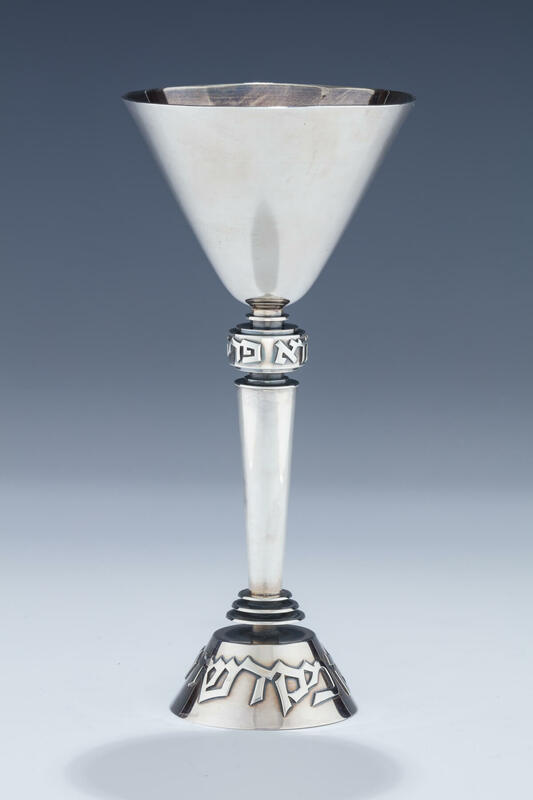 A LARGE STERLING SILVER KIDDUSH CUP BY LUDWIG WOLPERT. Israel, 1950’s. On round base with applied letters “THE NATION THAT SANCTIFIES THE SABBATH”. Upper outward tapering wine section. Marked Wolpert in Hebrew, 925, Jerusalem and Israel. 7.2” tall.